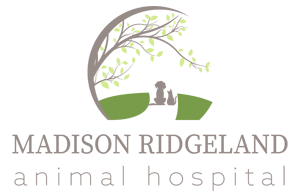 Meet the friendly staff at Madison Ridgeland Animal Hospital! Dr. Jonathan graduated from Mississippi State's College of Veterinary Medicine in 2008 and is co-owner of MRAH. Dr. Jonathan graduated from Mississippi State University in 2004 with Bachelor's of Science in Animal and Dairy Science. He then continued his education at Mississippi State University's College of Veterinary Medicine, receiving his Doctor of Veterinary Medicine in 2008. He has worked in the Jackson area since graduation at a small animal and avian veterinary practice and is excited to be joining the MRAH family. He is a Madison native, having graduated from Madison Central High School. He enjoys watching and playing sports, the outdoors, and his Mississippi State Bulldogs. Don't bring up Mississippi State sports unless you want him to talk your ear off! He is married to Dr. Kaysey Faulkner and owns the practice jointly with her. Together they have two sons, a dog (who often joins him at work), and a cat.